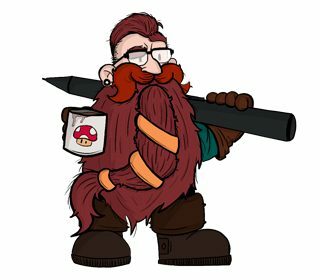 Michael Rauwerdink is a Computer Graphics artist from Cape Town we’ve recently met on twitter and after having a chat he mentioned that he worked on a indie puzzle platform game, Snailboy, as the CG artist. He generally loves anything CG animated related so it was right up his alley. Be sure to check out the Snailboy character animation and skin texture video in this article. As always guys we love featuring your work so please send them our way via Twitter or our contact form! So what is Snailboy about? Snailboy is obsessed with finding the perfect shell. Unluckily for him his whole bag full of shells he’s collected on his adventures have been stolen by the nefarious Shadow gang along with his special collection of precious shells. Prepare to go on an adventure where you root for the little guy as he jumps,sling, slides, oozes and sticks through the magical environments created by the team at Thoopid. Of course these’s a whole team of designers, animators and more behind a project of this magnitude so we’d love to give them some exposure as well! Thanks for the list Michael! Coming soon to the Samsung App Store, so it will be available on Android soon. For now, if you want to grab this game, it’s available for iPhone 4 and up, iPad 2+ and iPad mini. We wish you all of the best in your future artistic endeavors Michael and the team of Thoopid, keep on inspiring!